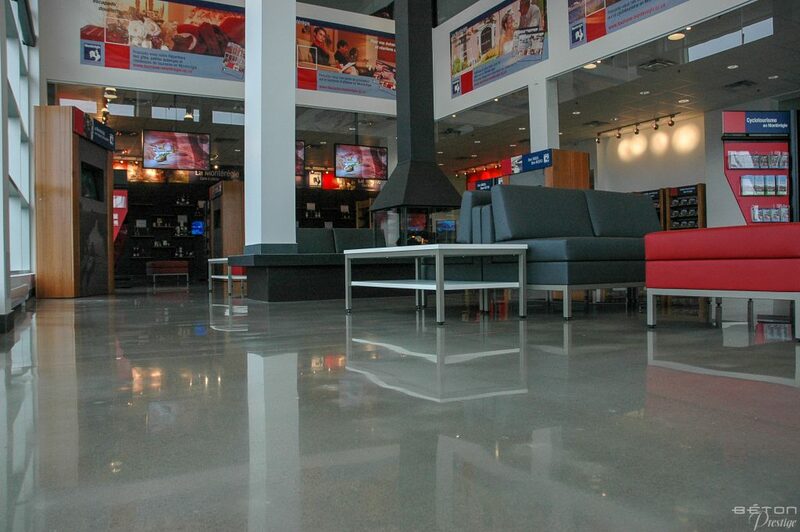 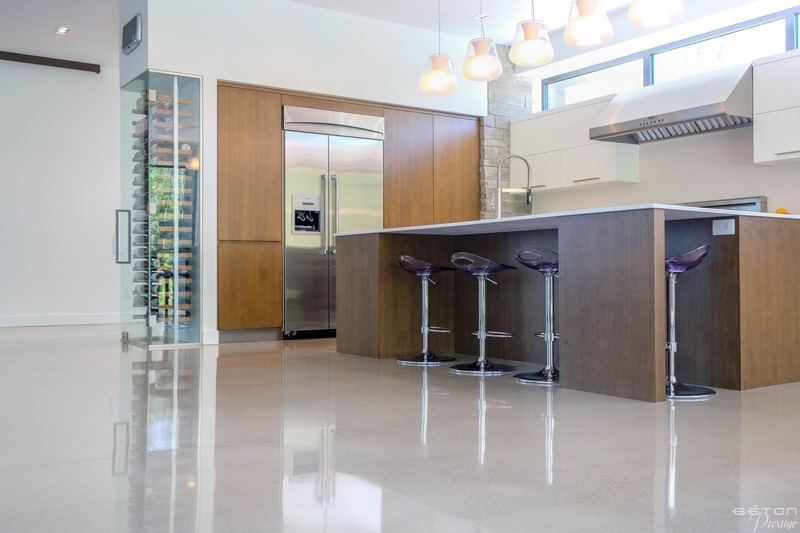 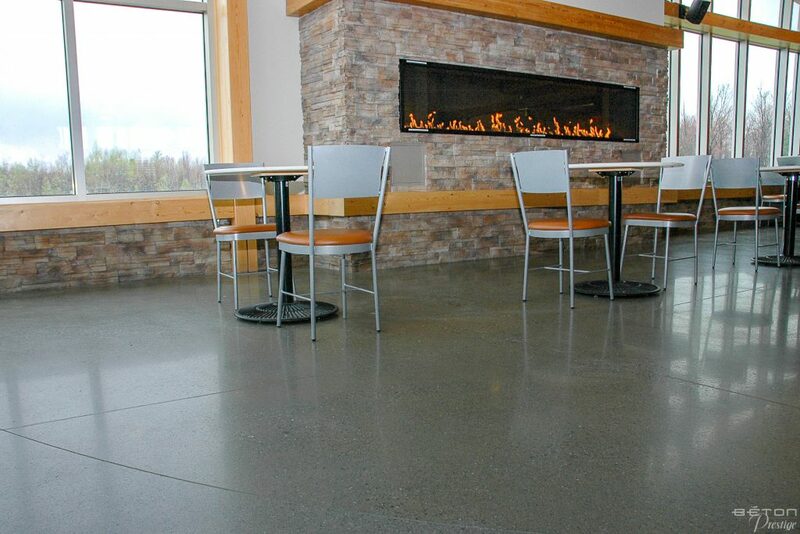 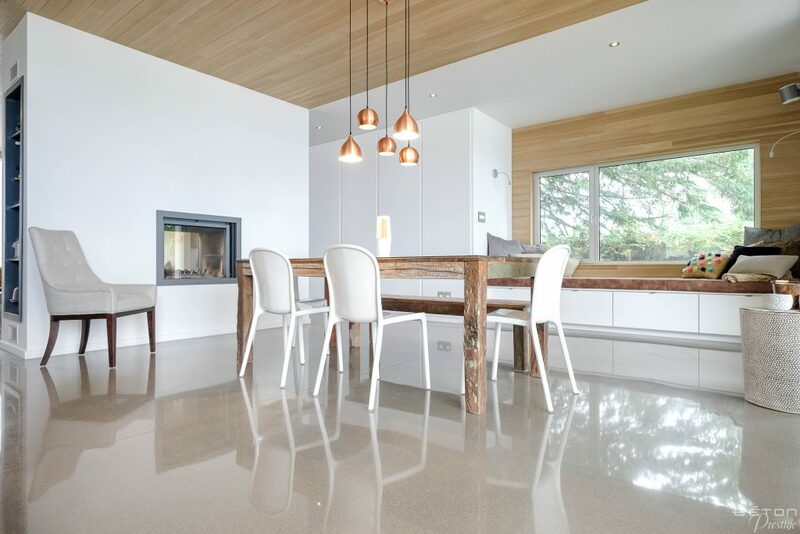 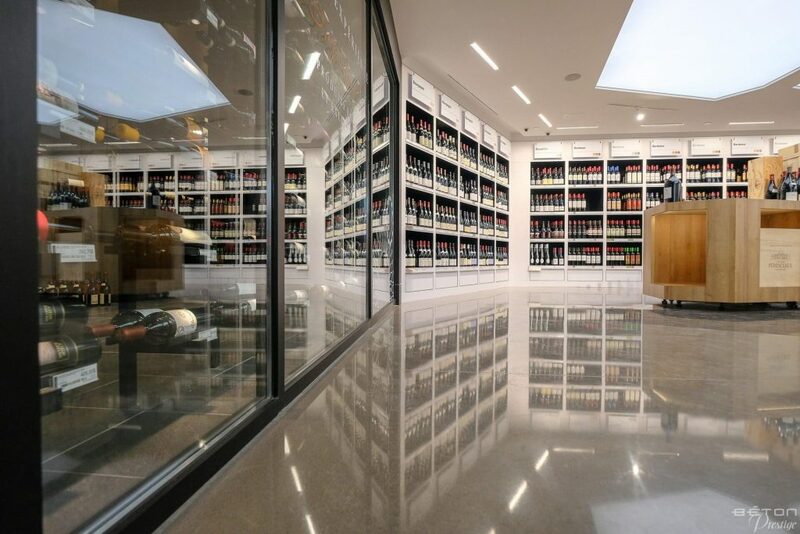 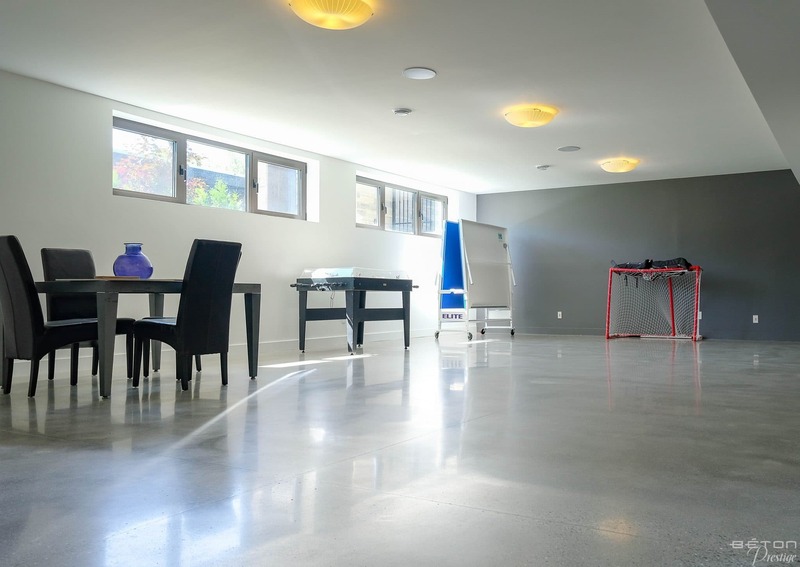 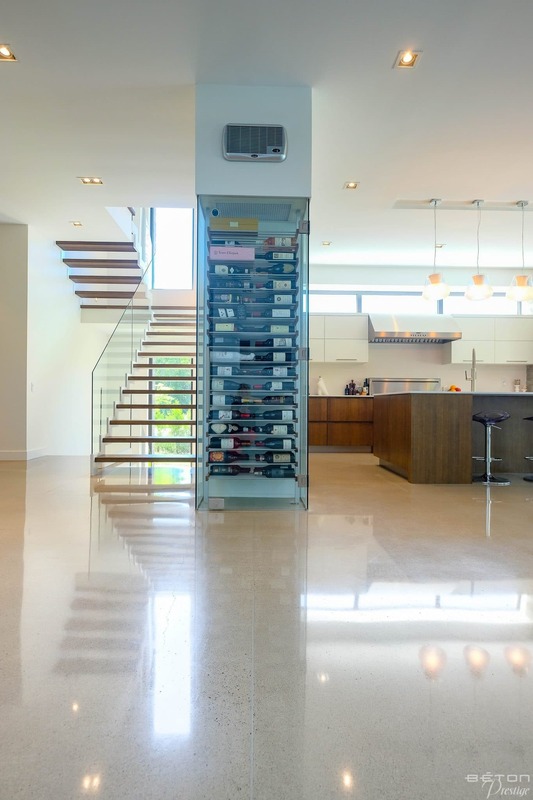 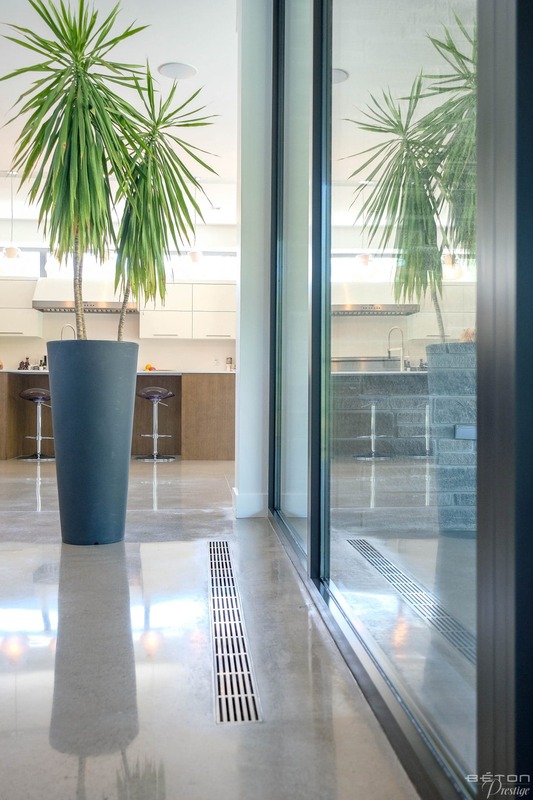 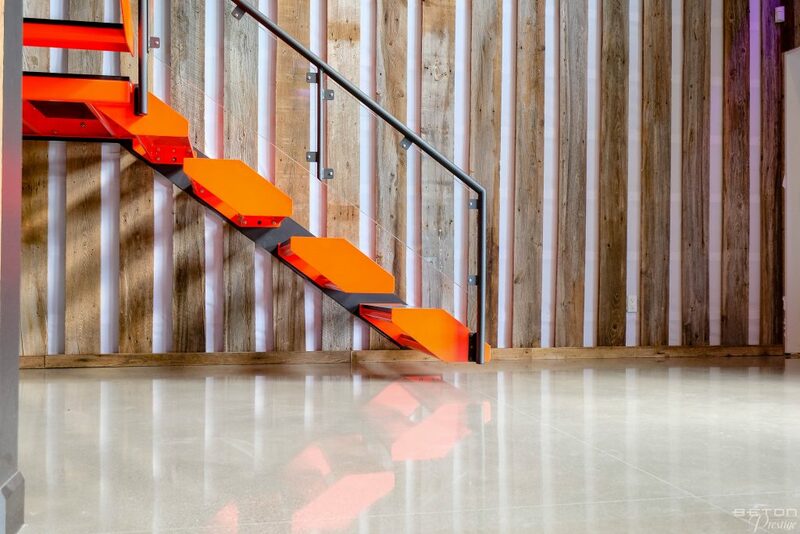 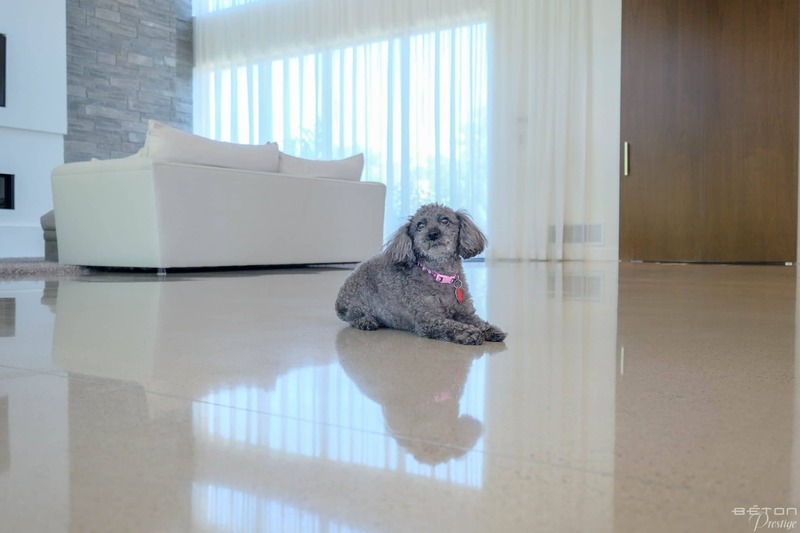 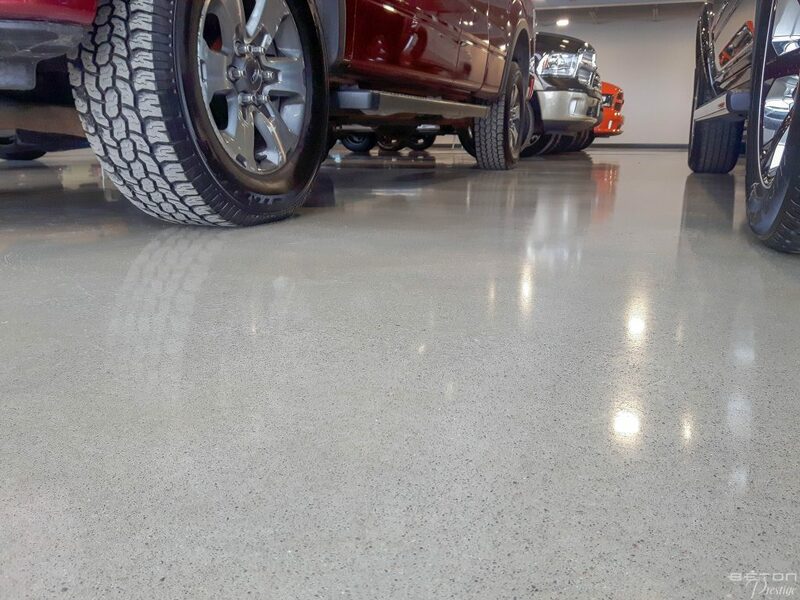 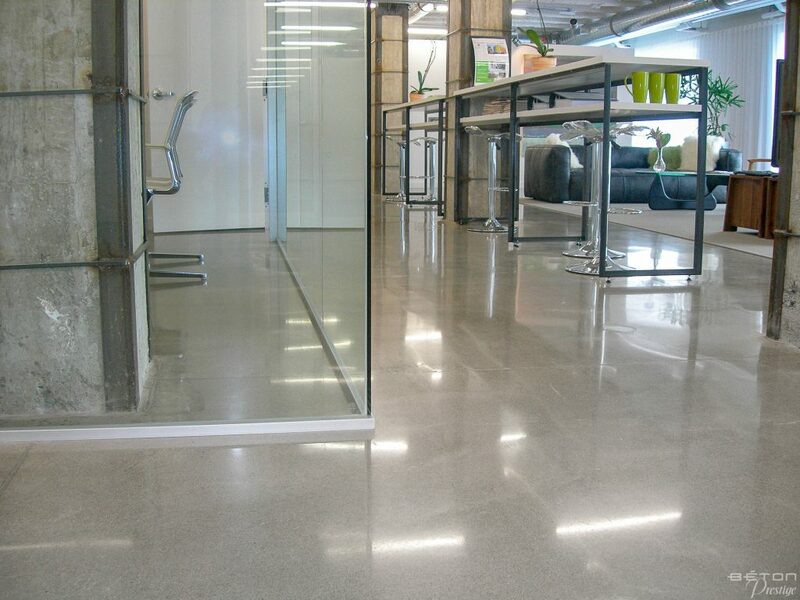 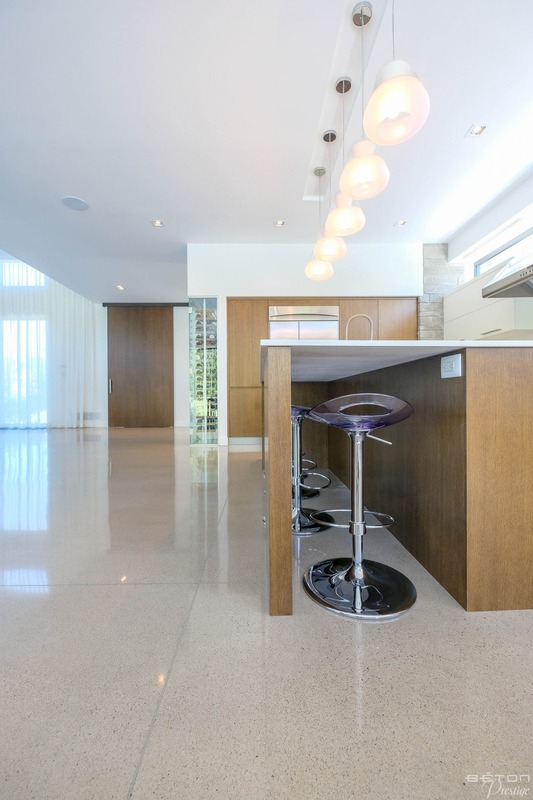 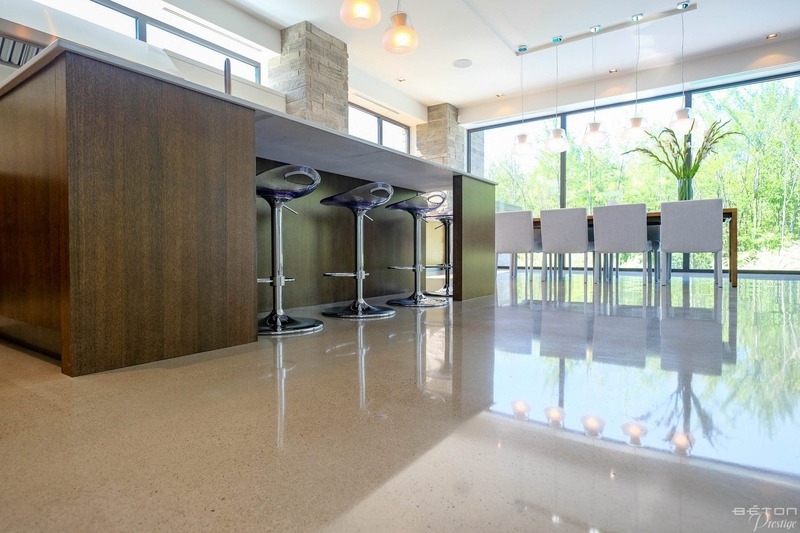 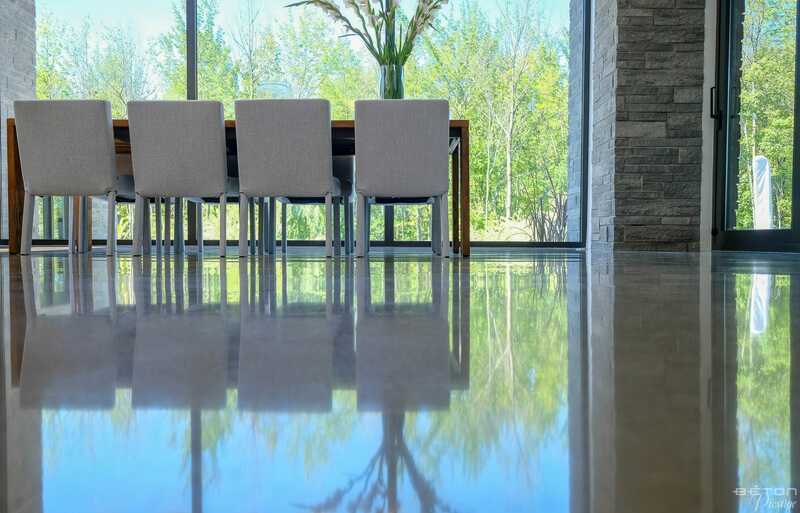 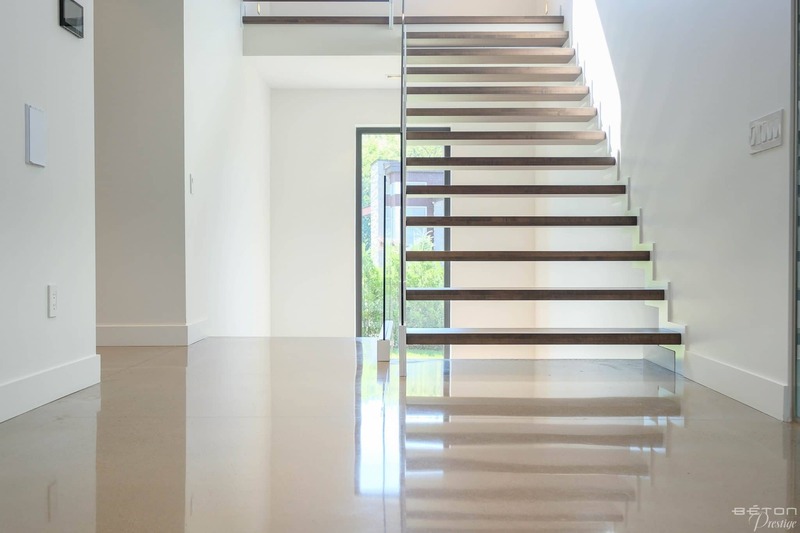 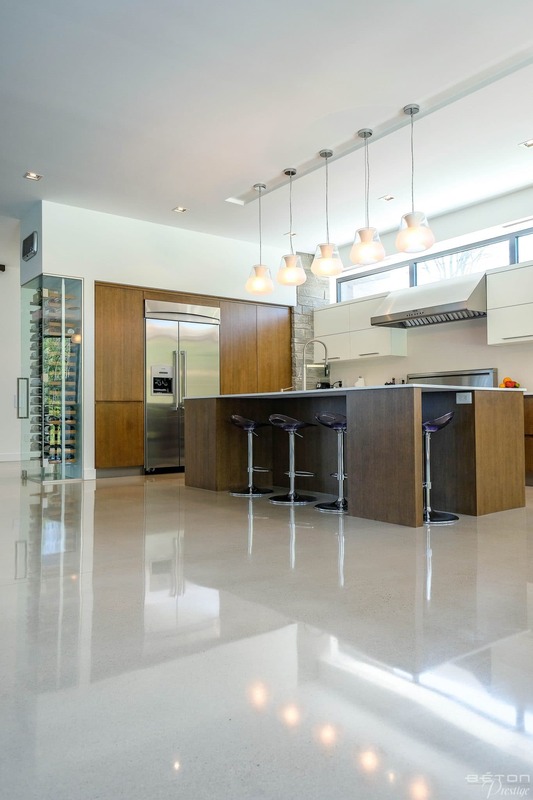 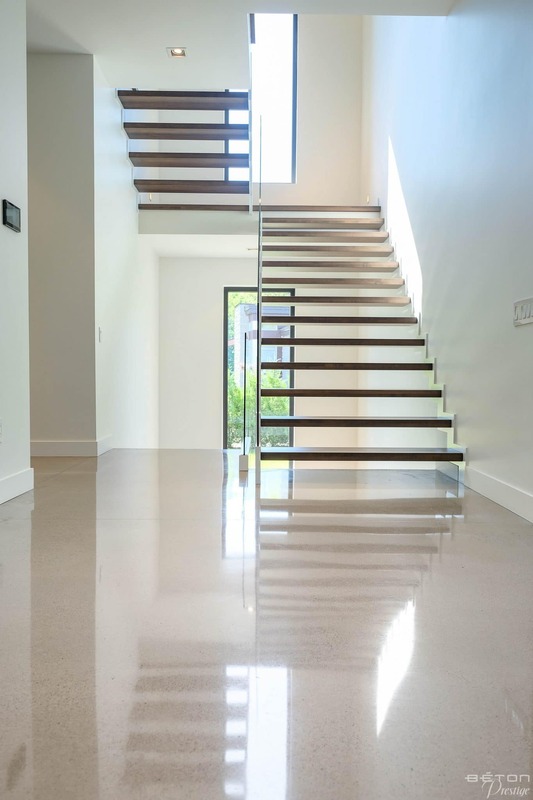 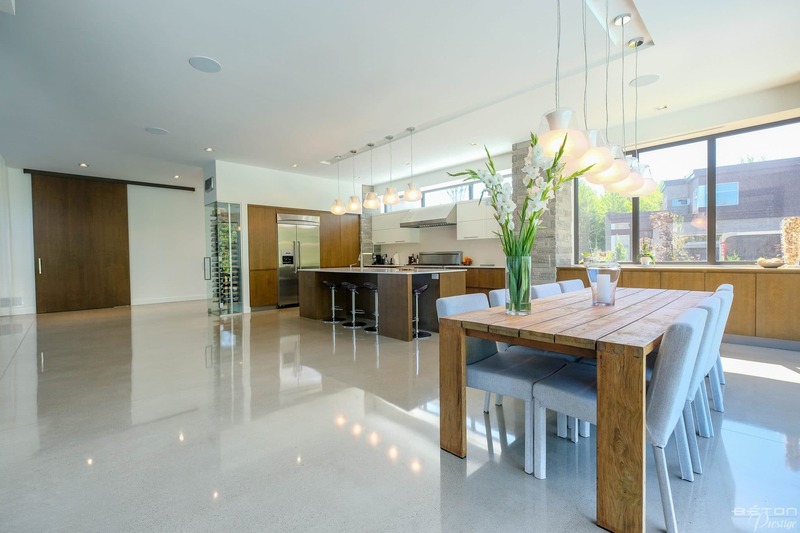 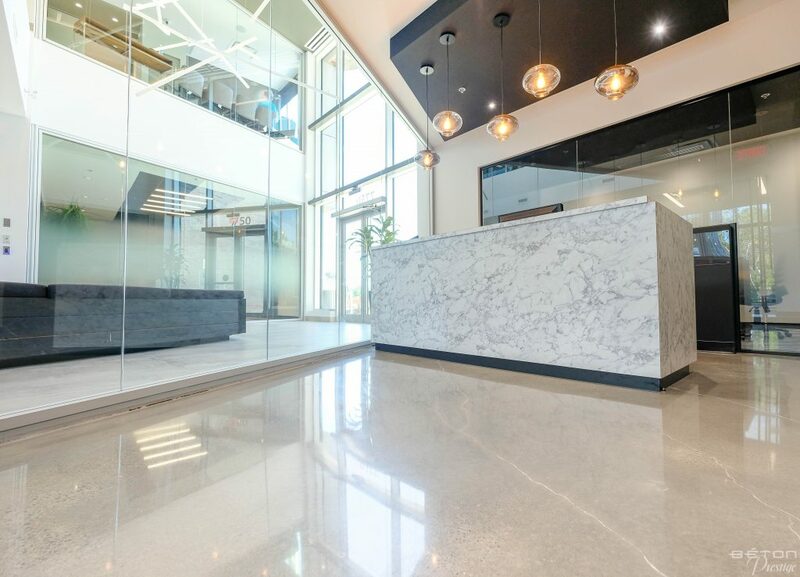 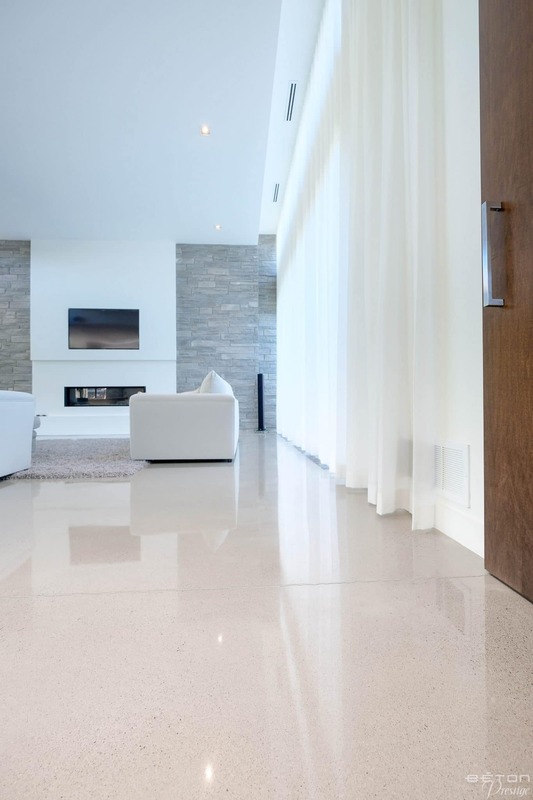 The choice of polished concrete as a floor covering is ideally suited to some of the magnificent creations of the Adornetto firm, such as this residence in the Montérégie region. 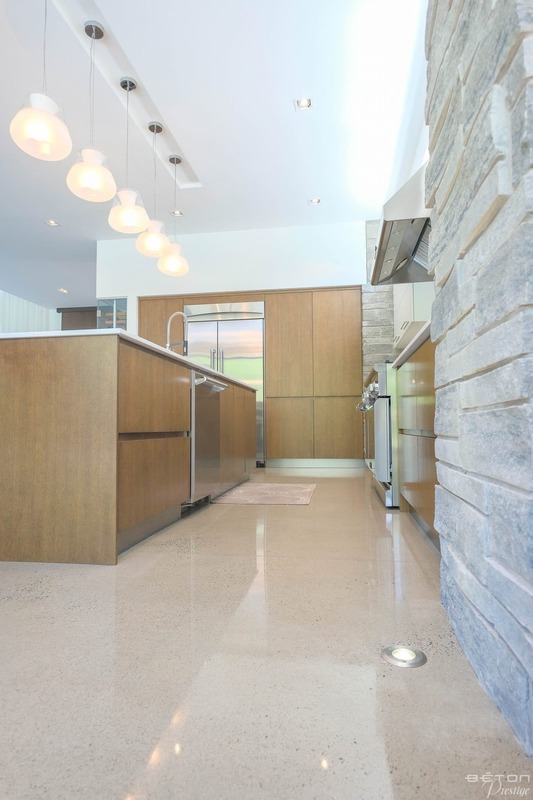 The use of an exterior finish brought indoors creates a close relationship between the natural environment and the inside of the residence. 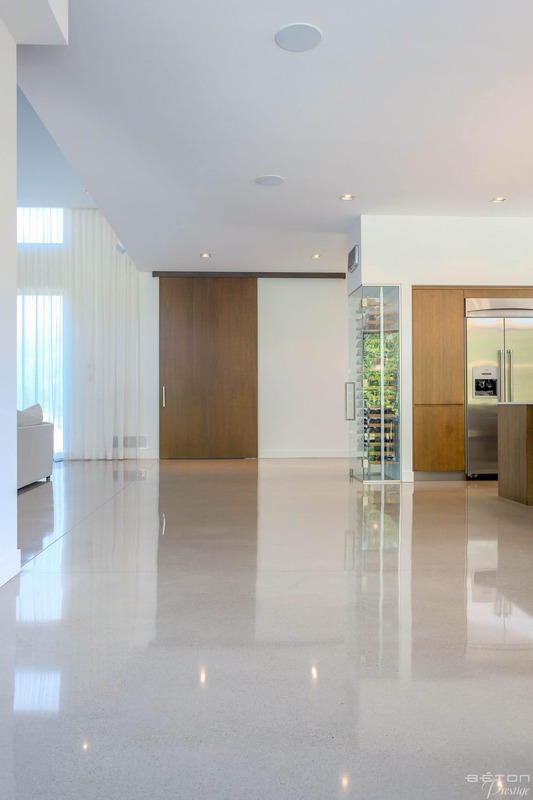 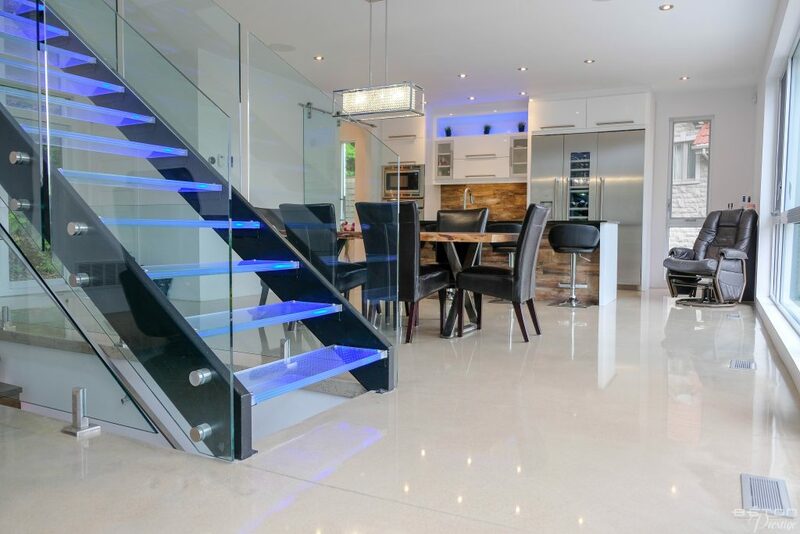 This design is also supported by the use of large glass panes for the windows and by the glossiness of the polished concrete floor reflecting the beauty of nature on the ground.